Let's talk about the iPhone Plus and it's three iterations so far. 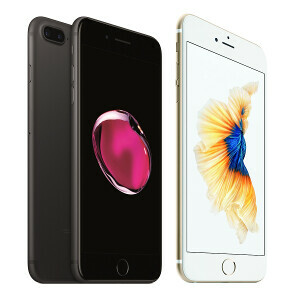 What started as merely a supersized version of the iPhone 6 rolling under the "bigger than bigger" tagline has now evolved to Apple's most advanced mobile device yet, greatly distinguishing itself from the regular iPhone 7 with its dual camera and unique camera features that enable you to enjoy lossless optical zoom and bokeh-rich portrait effect. Indeed, we are pretty impressed with the 7 Plus so far, so were quick to put it against its two predecessors, the 6s Plus and the 6 Plus. Needless to say, the iPhone 7 Plus trumps these with relative ease. Why so big rush about this comparasion? You still dont know key specs and still you are anouncing this kind of news? That is iPhonearena for you. It has 2gb and 2915mah battery.. Soooo 2012!!! Failed !! !